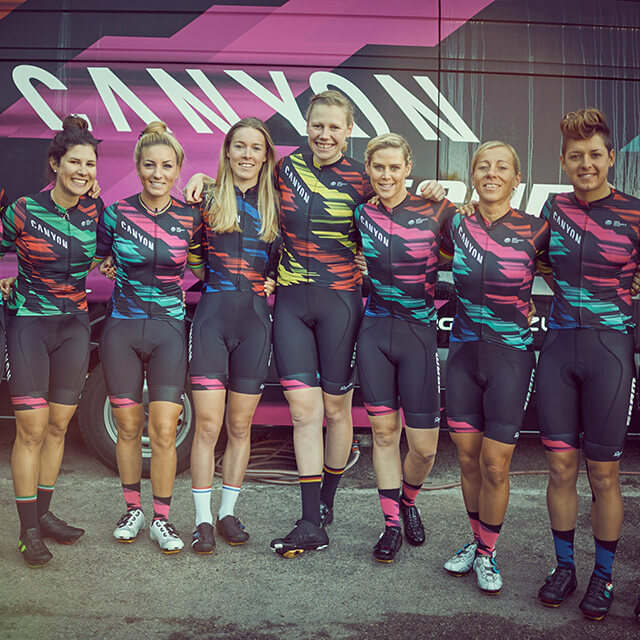 The Canyon SRAM team is one of the strongest women's racing teams in the world. Whether legends of the sport or ambitious young riders, they all work together for the success of the team. 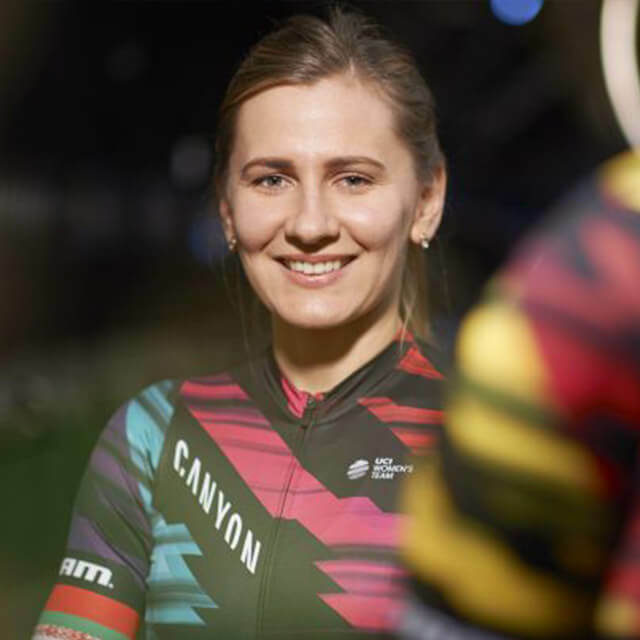 The nine-time Belarusian champion dominates not only at events, but is also successful in numerous time trials, tours and classics. 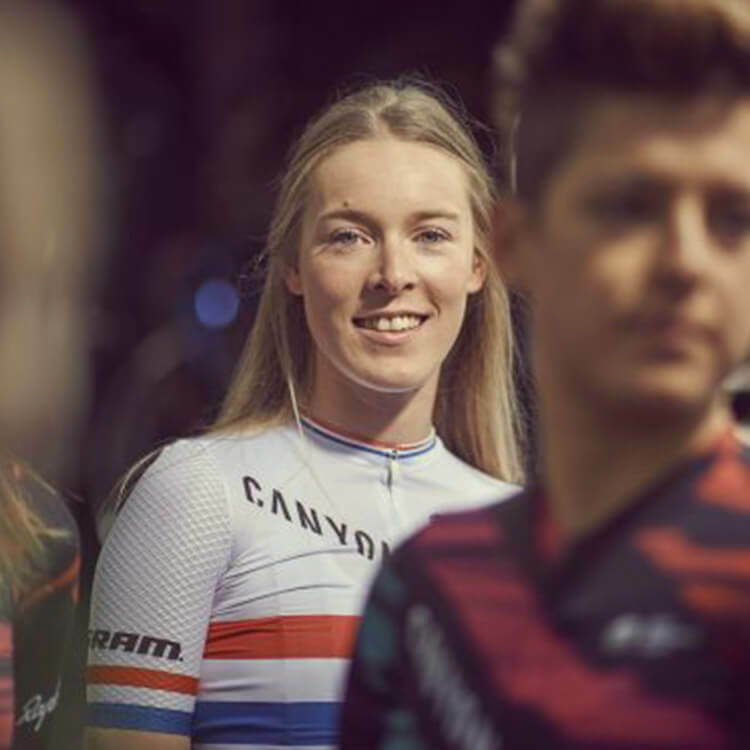 Since her childhood, Hannah has been riding with enthusiasm and became a British champion in the road-race discipline in 2016. 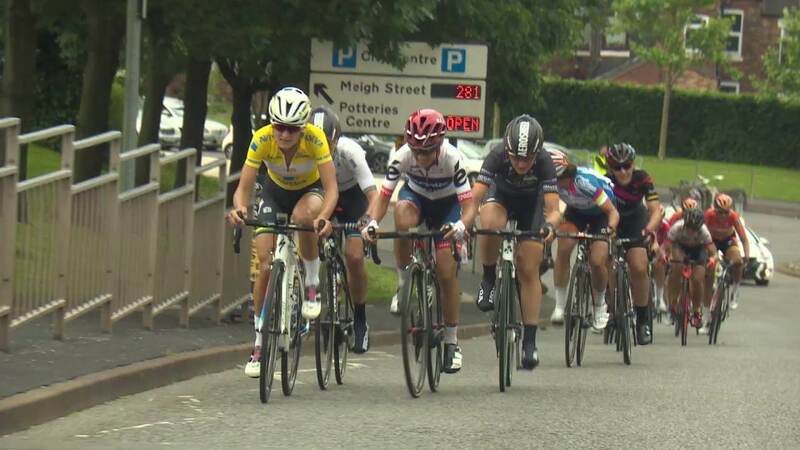 The multiple world champion time-trial rider is, however, no longer a pure specialist. Since 2014, she has also focused on the other disciplines as well. 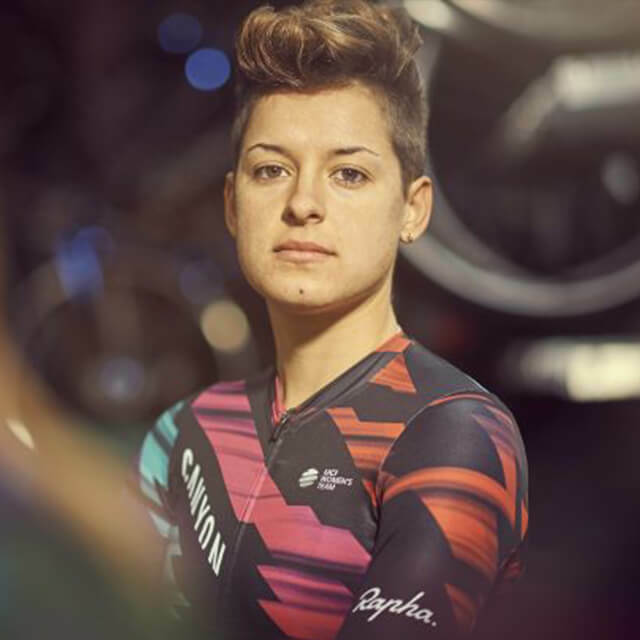 Elena is three-time Italian street champion and not only very successful on the road, but also on the track, thus a real versatile rider. 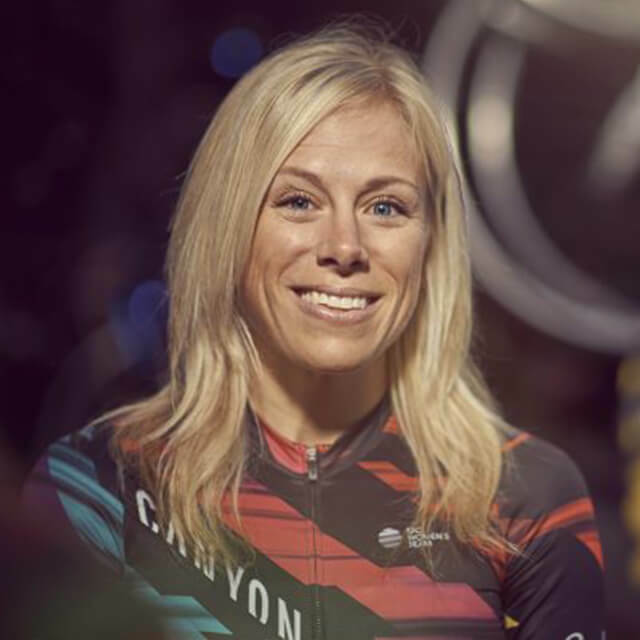 The "Diva from Down Under", as she is lovingly called, is an integral part of the team. 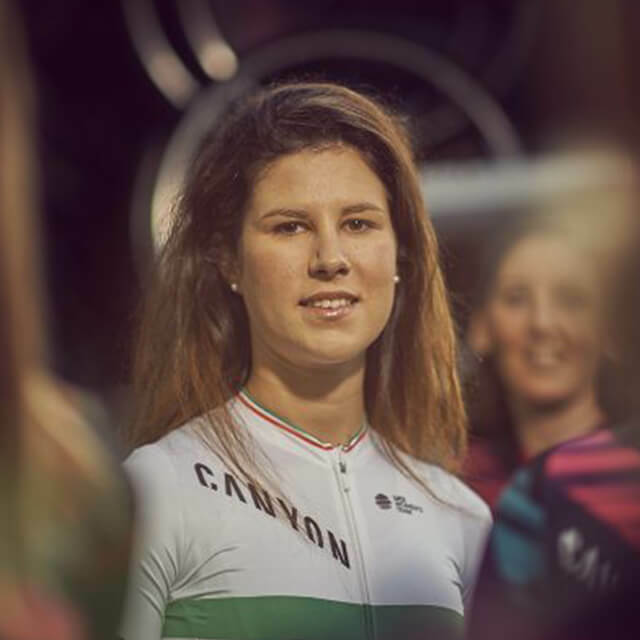 Pauline is not only successful on asphalt, but also on uneven terrain and has been able to win in numerous disciplines. 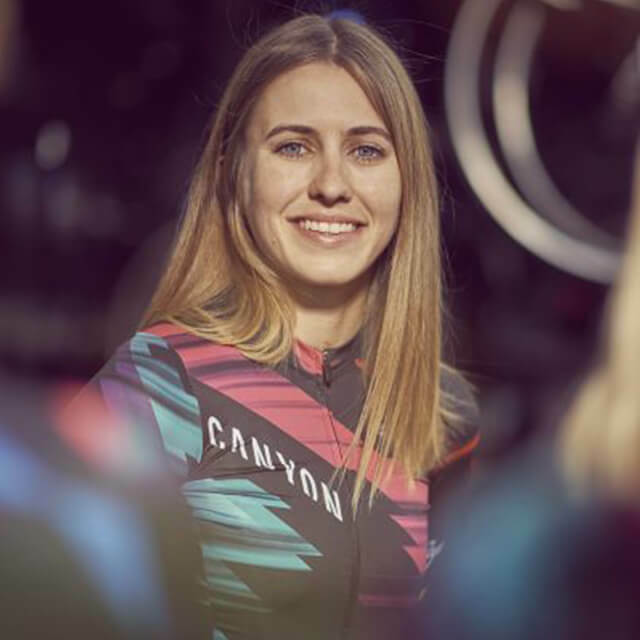 Among other things, the young Frenchwoman is also a MTB- and a cyclocross world champion. Barbara is a sprinter to the core and knows only one strategy - straight ahead in the direction of victory. 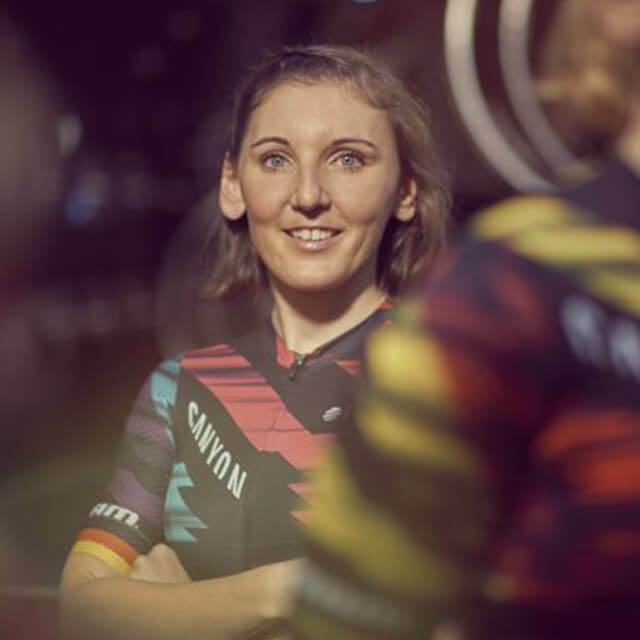 She proved this at the EPZ Omloop van Borsele in the Netherlands. 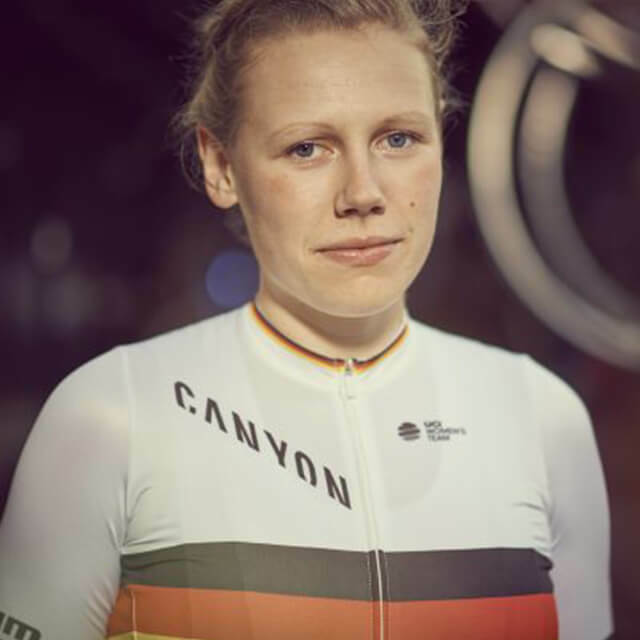 The German roadracer can be found with her bike at all times. She frequently visits exotic destinations all around the world, living her free-spirited life to the fullest. After the change from America to Europe, the young Alexis has proven that she cannot be defeated. 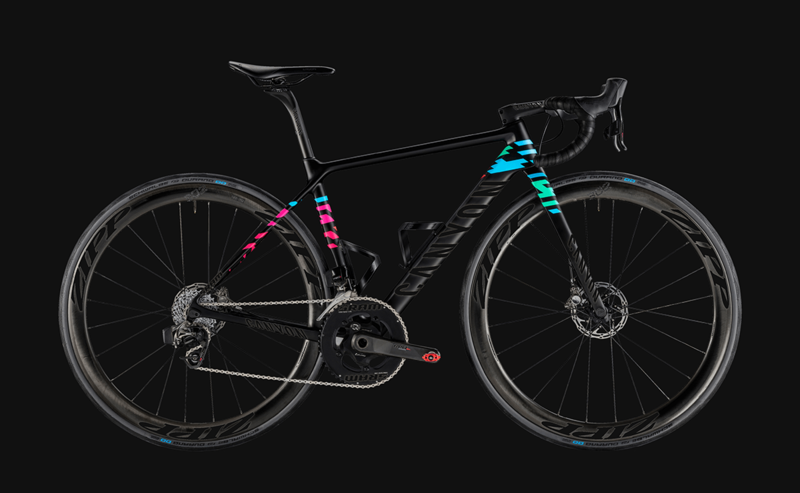 In the one-day classics, she seems especially unbeatable. 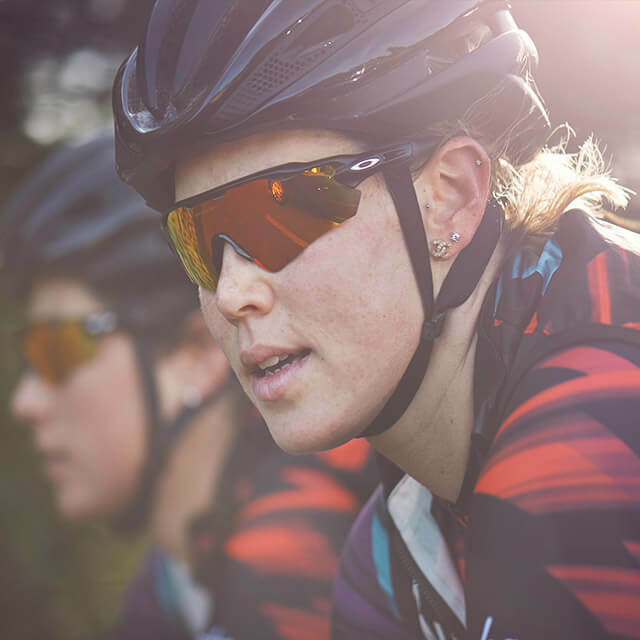 As a former marathon runner and Swift Academy winner, Leah brings a new perspective with her non-traditional entry into the professional cycling industry. 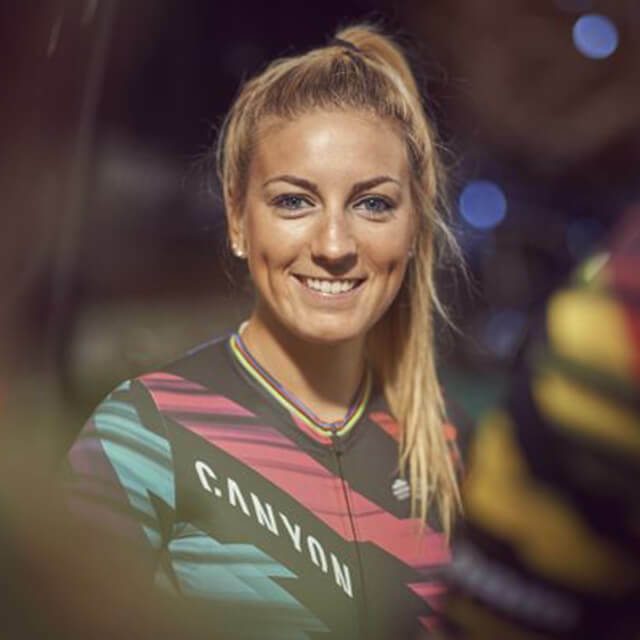 She has been demonstrating her skills in the CANYON // SRAM team since 2017. 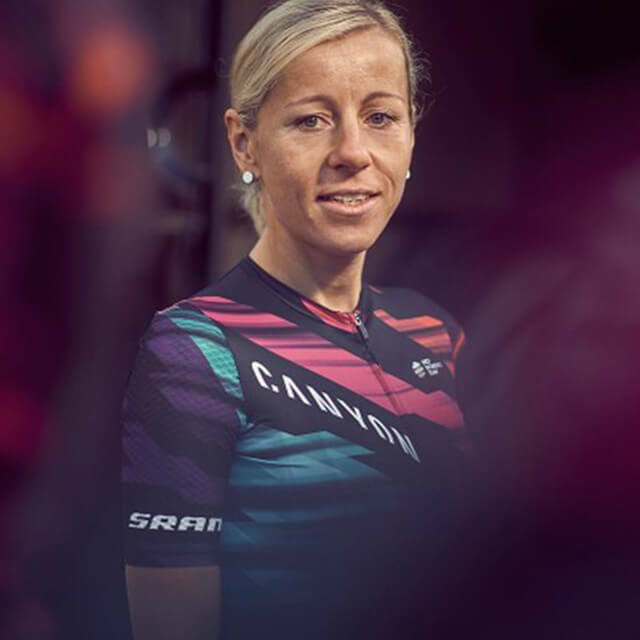 The multi-time world champion has been active since 1996 and is therefore one of the most experienced riders. As captain, she leads by example with her perseverance and serenity. The whole team benefits from this. 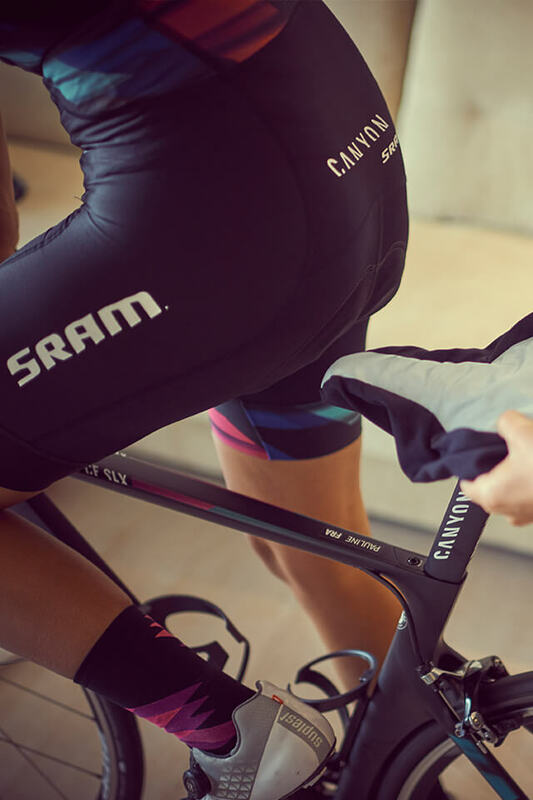 The team riders play a major role in the entire development of the saddle. 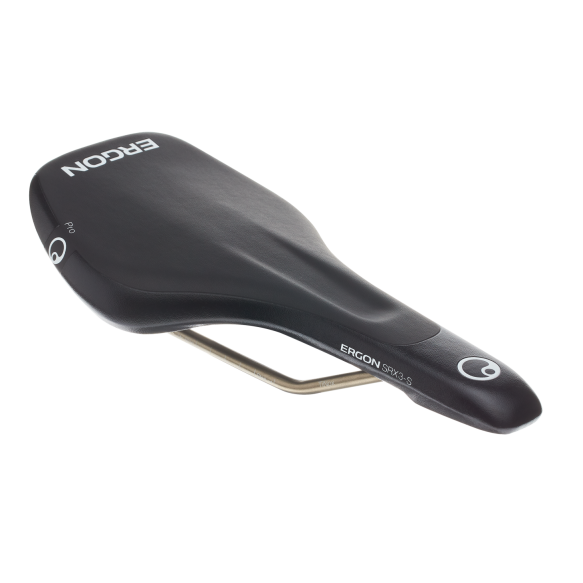 Wishes, problems and experiences are collected and provide the basis for the ergonomic design of the racing saddle for women. 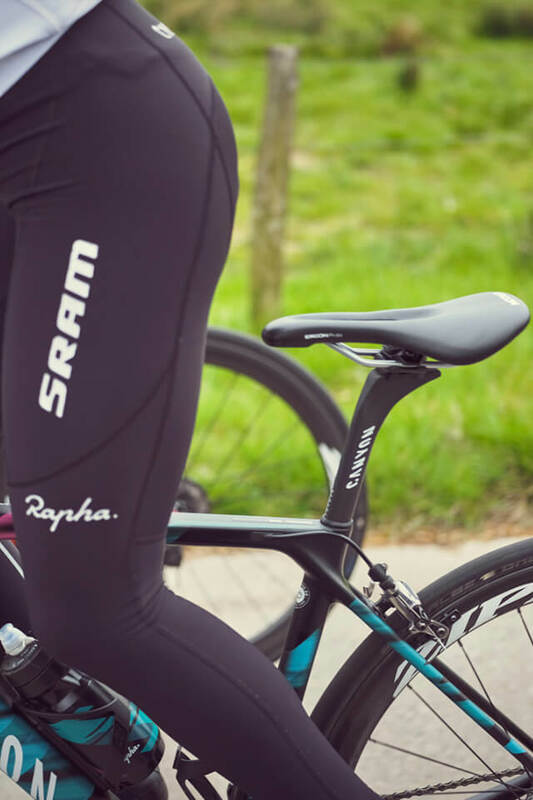 The electronic measurement of the seat bones helps optimize the shape and material of the saddle, which can thus be specially adapted to the anatomy of the woman. 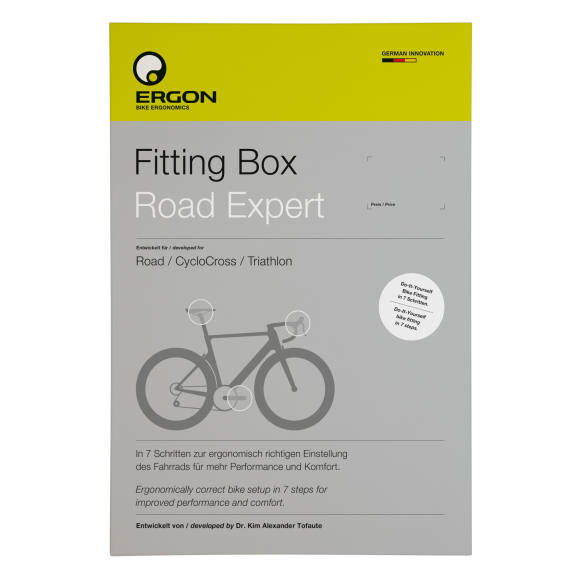 The measurements of all riders are collected and evaluated. 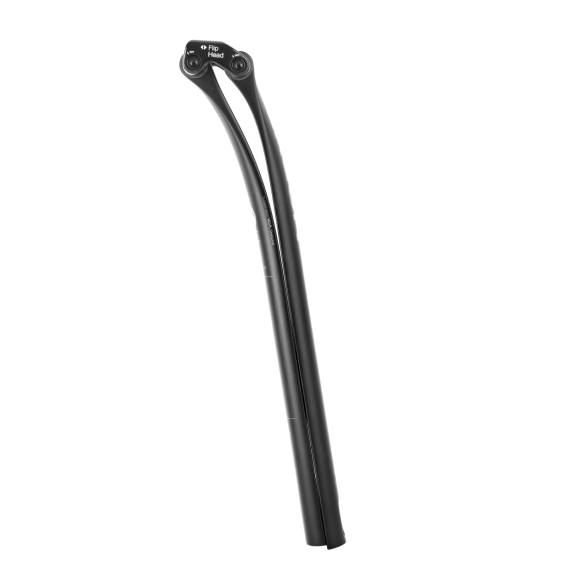 The challenge is to create a saddle on which everyone feels comfortable. 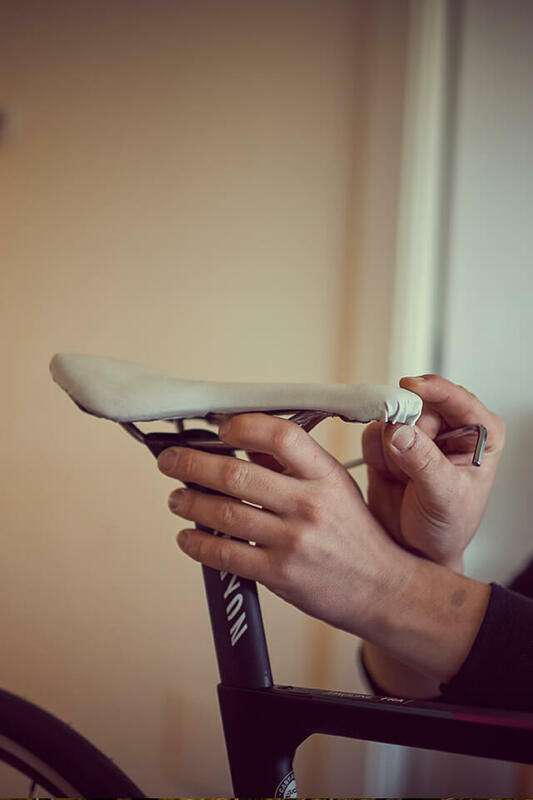 The results of the long research and measurements produce a first hand-made saddle prototype. 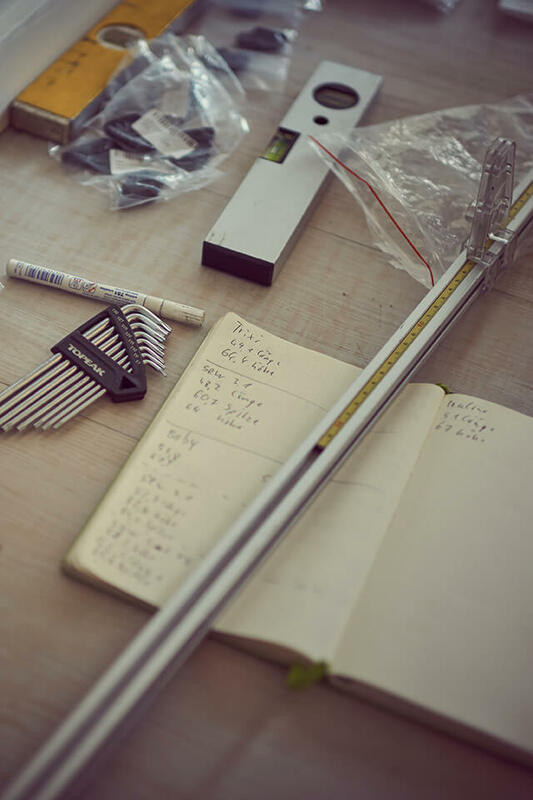 The development process is almost complete and the final prototype is ready for its final tests. 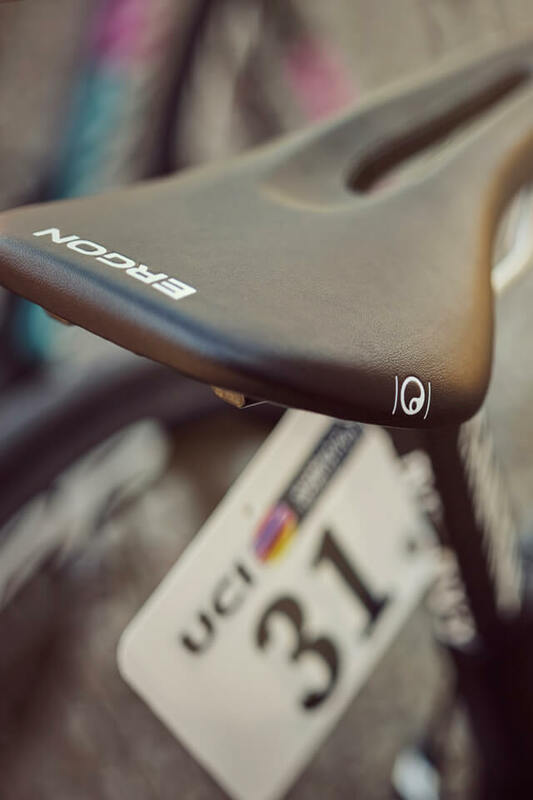 The baptism of fire before production: The Mission “Women’s Racing Saddle” is successful!